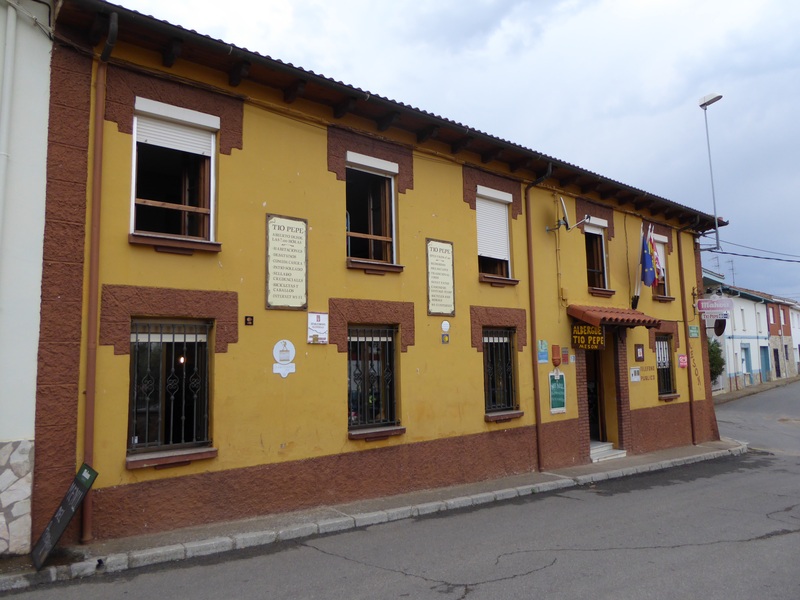 DAY 11 June 5 2015 Villar de Mazarife to Astorga. A long and testing 34 km!! Thank you for your patience – the following is the narrative we were waiting for. Interesting, it was sent from one IPad to another, about 5 feet apart. The email took almost 24 hours. We knew today’s journey would be a challenge. We were walking our greatest distance across very familiar and sometimes, tedious terrain. 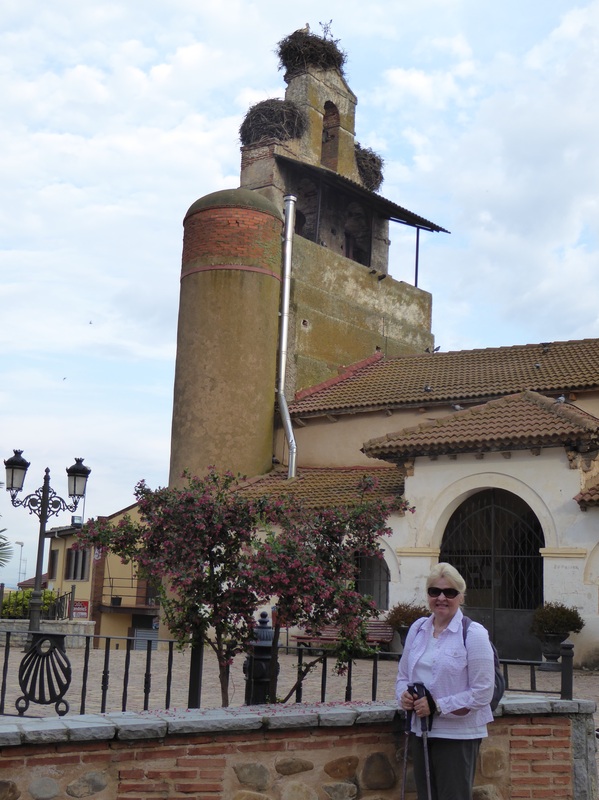 (This was our 10th day in the Meseta.). Today was also the day a celebration of life was being held for a beloved friend. Our hearts were not really into the walk ahead, they were back home in Canada with the Girling family. Inspiration sometimes arises from the most unlikely sources. 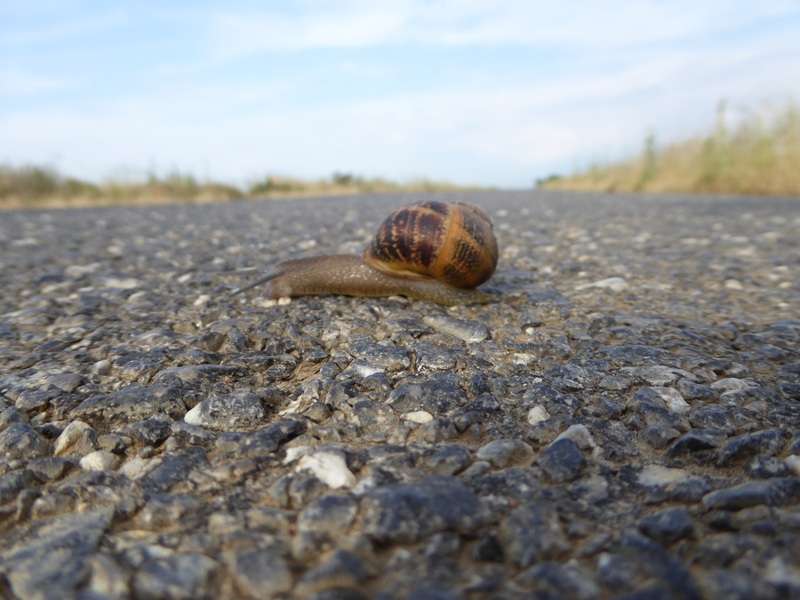 We were about 3 Km into our walk when we came upon what appeared to be a snail crossing….? For whatever reason these slow, heavy laden creatures were traversing from one side of the road to the other. 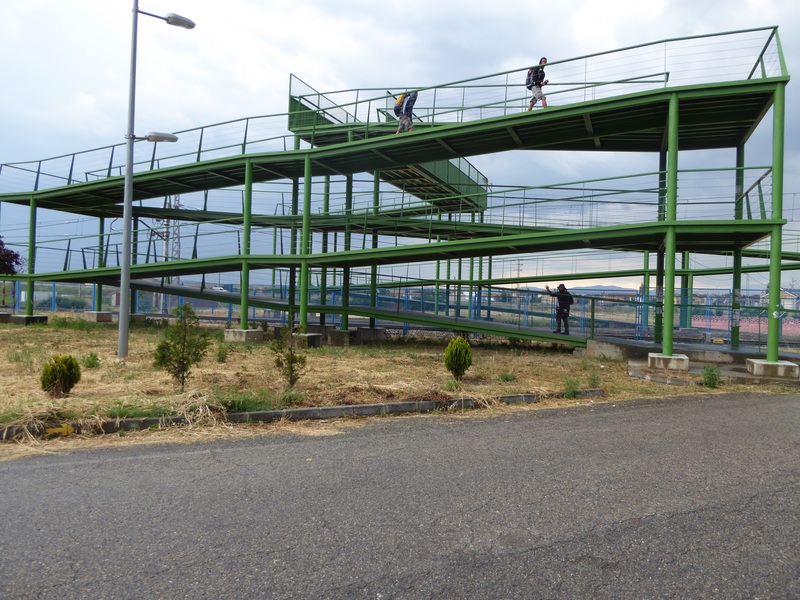 Their journey was perilous and many would not make their destination…but they persevered. The trek of the lowly little snails made us see that we could do today’ s walk by pacing ourselves (not quite at a snail’s pace😊) and we could also, carry our grief more easily by enjoying things along the way that our friend, Bev would also enjoy. 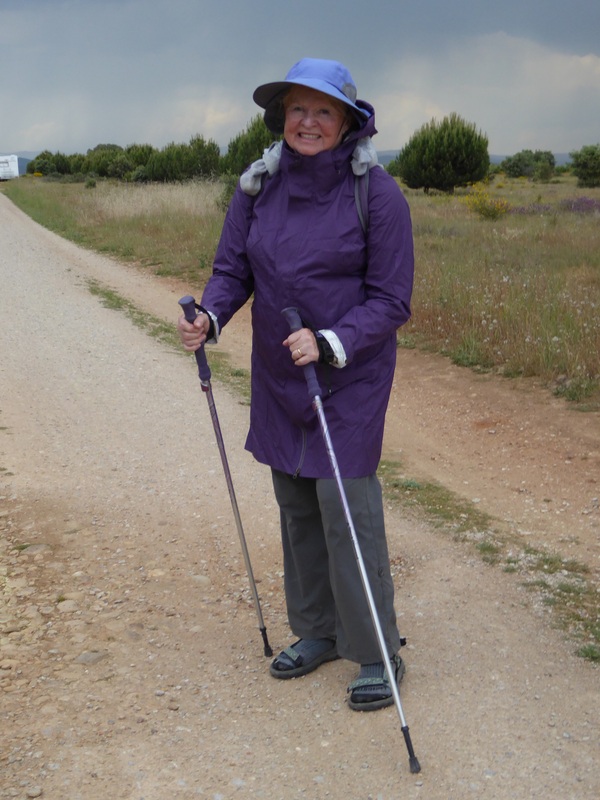 As we walked our final stretch of the Meseta we were serenaded by bull frogs and songbirds—all good. Passing a fairly vertical, sandy hillside we saw sand martins fluttering in and out of their nesting burrows. Here the sand martins are called “butterfly birds” because of the way they use their wings. Bev would have found this delightful. After a pretty good 15 Km start the day was growing warmer but the land was also transforming into a calming verdancy. 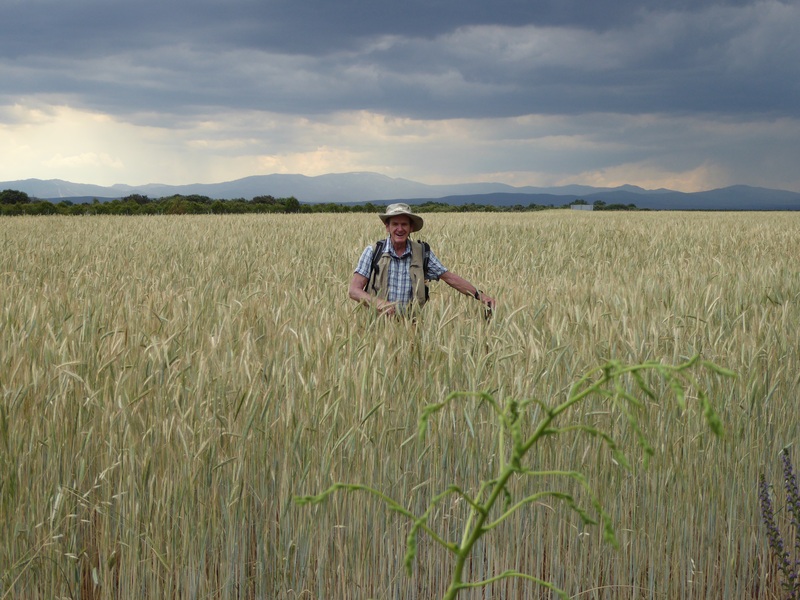 The corn and hop fields accompanied forests of oak,sumac and pine trees. We stopped frequently today to drink lots and rest our feet. At the village of Hospital de Orbigo they were preparing for their Medieval Festival. The set up was very realistic, the whole town was transformed back to the Middle Ages. Unfortunately, we were passing through a day early. We did enjoy a tasty bocadillo ( sandwich) by the three tired medieval bridge. We did finally make it to Astorga. How wonderful tomorrow is a day of rest! 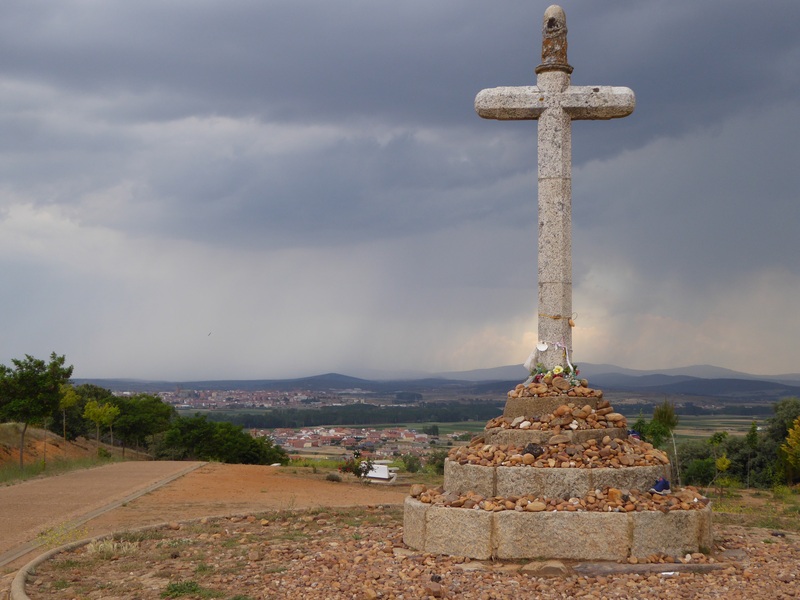 Later in the afternoon the storm clouds gathered … It would be our first rain on the Camino. We were already exhausted and really didn’t want it at that time! Over a thousand feet of walking to get safely across 10 feet of tracks! 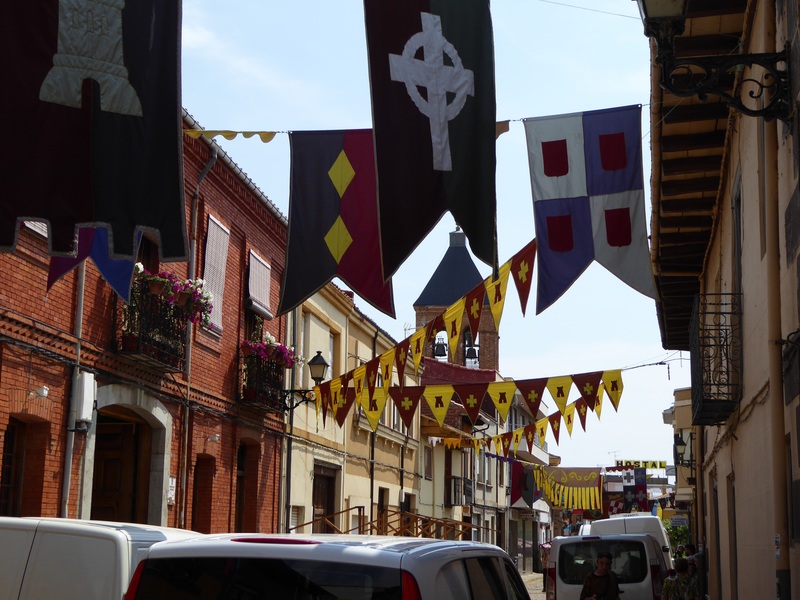 The town of Hospital de Orbigo readying itself for ancient jousting celebrations. And it did finally pour down! I love this picture, and Delana’s analogy – the snail to the pilgrim. This was our Albergue/hostel, plain but so clean and very friendly. Some rooms were for as many as eight! We were lucky to have the only private bath. There is a sign on the front: Santiago 297 km!